Packaging solutions provider, Tekni-Films, is featuring its latest rigid and flexible packaging materials for medical devices at MD&M West. 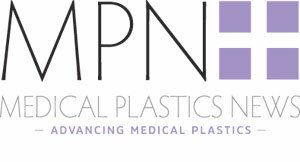 The company is exhibiting throughout all of MD&M West from 6-8 February at Booth 2027. Tekni-Films is also discussing its TekniMD PX copolyester film series which provide a cost-effective alternative to PETG for thermoformed medical tray packaging. The company also offers a laminated alternative to PVC for thermoformed pharmaceutical blister applications. Tekni-Films is displaying its ultra-high barrier PVDC coating and a wide variety of other multilayer packaging structures that deliver the stringent oxygen and water vapor barrier properties necessary to protect pharmaceutical and medical device products.